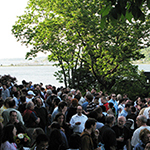 We are pleased to announce a new Cold Spring Harbor meeting on Systems Immunology, which will begin on Wednesday evening, March 13 and end at noon on Saturday, March 16, 2019. We are looking forward to a broad-based meeting, and abstracts are welcomed on all scientific topics related to systems biology approaches to normal and pathological functions of the immune system. 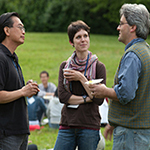 The meeting is intended to promote cross-disciplinary exchange between experimental, computational and mathematical biologists studying the organization, functions and regulation of the immune system at various scales. Our goal is to establish a recurrent forum that brings together immunologists and systems biologists in this nascent field. The format of the meeting will include six oral sessions and one poster session. Each oral session will include invited speakers and speakers selected from submitted abstracts. For this reason, abstracts from accomplished junior and senior investigators are enthusiastically invited. The abstracts should focus on new and unpublished data. 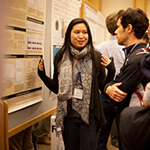 The organizers will select abstracts for oral or poster presentations. The status (talk/poster) of abstracts will be posted on our web site (below) as soon as decisions have been made. 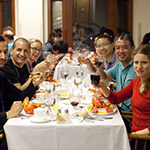 We have applied for funds from government and industry to partially support graduate students and postdocs.